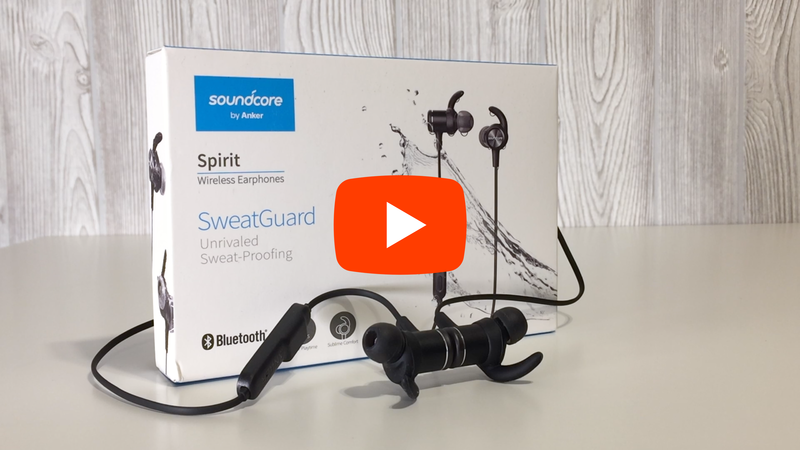 Soundcore Spirit Video Review: Featuring SweatGuard Technology! I just finished up my video on Soundcore Spirit, but there's something unique about this review: It includes saltwater tests to see if Anker's claims regarding SweatGuard are really true! Wow! That was a very thought out review. I can see that you put a lot of work and thoughts into the review. Well done Josh You certainly have a knack for reviews. Love the testing. What was the volume set at? I would assume this would play into how long the battery would last on the Spirit. I must admit, when you submerged them into the salt water, I was expecting there to be water ripples when it was playing Anyway, well well done. I always look forward to your reviews. I really appreciate the nice words @Nhi! Thank you very much! From what I saw, you may have an opportunity to test these earbuds out on your own with the same set of directions! So far, Josh has been the first (and maybe the only one...time will tell) to test these "sweatproof" earphones as Anker suggests. Personally, I'm kinda chicken. Anker has requested a few of us to do an extreme salt test to prove the hydrophobic nanocoating is up to snuff. My written review will be posted next week. @joshuad11 great job as always! Great review as always. Loved the video especially the salt water test! Nice review. I received a Spirit sample and suggestion to test the sweatguard as well. After seeing your video I can test it better, but after seeing yours and it works.... I may not run that test but try another one. With this particular test, my concern was if the speakers would sound differently afterwards or be damaged. In most cases your earbuds will be in your ears and protected from large amounts of water and not in a bowl of saltwater. We could have all donated our sweat and shipped it to you for a more authentic and realistic test.